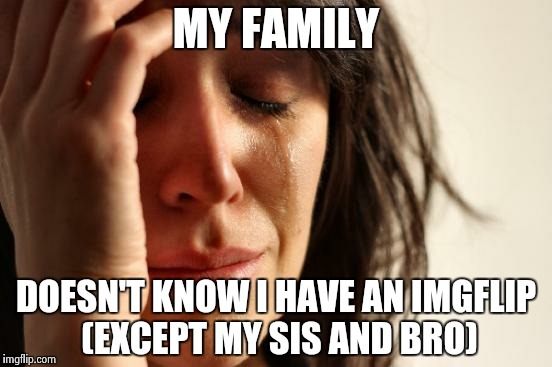 My sis told me this, I wasn't aware that it was a repost. It's ok I don't really mind people reposting my stuff. It is Ok, you were AFK for a while with better things to do. Unlike us. Yes! You were gone for a while. I didn't think I was THAT popular. 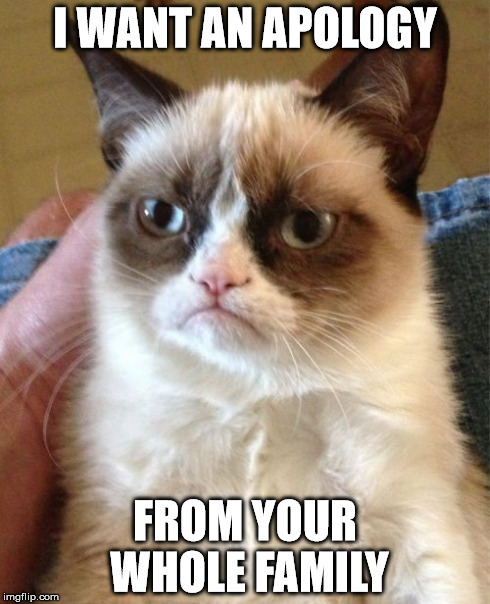 You are the Queen of Imgflip, we are your servants. If that was real, I'd make you scour the internet for reposts and delete them. Or ban the children that spammed the comments. I name you Commander In Chief of Comment Defense. 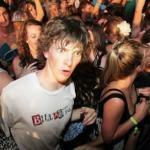 Now, get rid of the spam commenters! You: NO GOD! PLEASE NO! NO! NO! NOOOOOOOOOOOOOOOOOOO! Seen that before on other sites. Why were my comments downvoted ._. 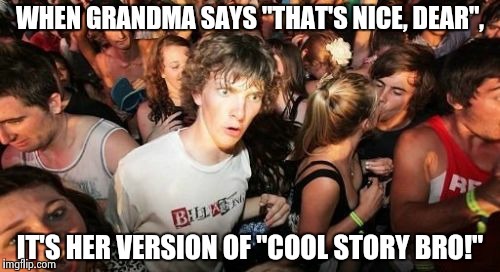 WHEN GRANDMA SAYS "THAT'S NICE, DEAR", IT'S HER VERSION OF "COOL STORY BRO!"